Give yourself the gift that keeps on giving. Begin your fitness journey Now! Kickboxing is the ultimate fat burning program; it is one of the most ancient martial arts that can also save your life in a real world situations. We train together learning boxing moves and proper kicking techniques, all in a clean safe environment. We do all this while burning tons of calories, getting the best shape of our lives, and most importantly having FUN! Looking for a program that will help you stay motivated and get you fit and toned? Kick gym boredom and lack of results to the curb by joining our Women's Martial Arts Classes! This program builds endurance, strength and send your confidence sky high. You will also find it much easier to stay consistent and reach your full potential by training in a team environment. Finding a fitness routine you can enjoy should not be a difficult task. Whether you’re interested in physical fitness, self-defense, or even an athletic social outlet, our school maintains a safe and positive environment for you to achieve your goals. 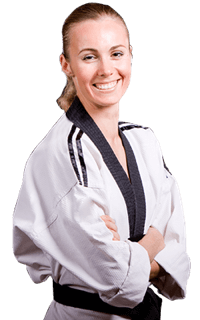 The Inspired ATA Martial Arts martial arts curriculum provides a great way for women to stay in shape. It won’t become dull or routine because as soon as you get better and continue learning, there are always more challenges ahead to keep you inspired and coming back for more! By educating women to expand their work out options, Inspired Marital Arts classes are able to keep women motivated and focused with physical activities. Women are now feeling the personal martial arts victory within themselves. Most people associate martial arts with fighting, kicks, and punches. While we definitely practice drills that you can expect during martial arts classes, the truth is that confidence and stress relief are some of the biggest benefits our members report! You’ll not only burn amazing calories while learning life-saving self-defense moves, but you’ll gain a mental clarity that you’ve never experienced before. Different From Other Martial Arts Schools? We focus on the personal development of fitness. Our instructors are all certified, qualified and licensed to teach martial arts. One of the Major Reasons People Start Martial Arts is to Get in Shape. Join the ultimate full body & mental workout with Inspired ATA Martial Arts. Kicking & Punching is a Great Way to Blow of Steam! At Inspired ATA Martial Arts, it is our mission to help you become a confident, focused individual with the life-transforming experience that is martial arts. Belt testing provides an excellent physical and mental exercise for adults to improve their goal-setting skills. Your self-esteem will continue to rise with each accomplishment, as you watch your hard work pay off. Complex physical activities such as martial arts have proven to strengthen the brain’s neural networks, helping adults improve their focus and reduce stress levels. This can be a great deterrent against depression and other mental health issues. The excitement and sentiments you feel when sparring with a partner in front of your instructor and classmates are the same you feel when you are asked to give an important presentation at work, approach your boss for a promotion, or ask a potential partner on a date. Your confidence will reach new heights and you will realize you have what it takes to accomplish anything! Senior Master Dendy really cares about his students and it shows when he is teaching. Great school! Our Teen & Adults Martial Arts program is for ages 13 & up.